The BRIDGE Mission Program Internship at St. Simons Presbyterian Church. Under the direction of the BRIDGE program director, during summer weeks, the interns help to facilitate learning and spiritual growth by working directly with youth and adult mission teams from visiting churches. Specific responsibilities during these weeks include being onsite with groups throughout the week, leading daily devotions and debriefs, coordinating worksite mission projects, helping to facilitate daily meals, and developing meaningful relationships with program participants. 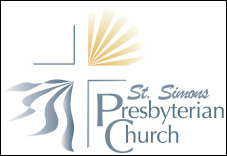 The BRIDGE Mission Program (Building Relationships, Inspiring Diversity, Grace and Ecology) is a short-term mission offering of St. Simons Presbyterian that hosts outside groups for a week of hands on mission and learning in Glynn County.